2017 design proposals for Lismore Park, Sion Mills. 25 years ago in 1992, in a universe bereft of the terms internet, selfies, Brexit, bedroom tax and local housing allowance, a group of determined individuals with a common interest in rural development sat down to work out how the rural housing crisis in Northern Ireland could be addressed. 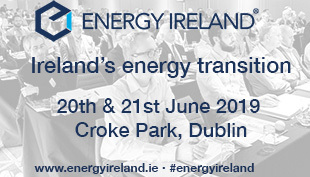 Motivated by the publication of the 1991 ‘The Way Ahead’ (authored by Sean Gallagher of the Northern Ireland Housing Executive who would later be a board member of Rural Housing for 18 years), the group founded Rural Housing Association. resources must be directed to where they are most needed and to those who need them most. Fast forward 25 years and the new NIHE rural policy principles show the same level of commitment as that in the 1991 document. 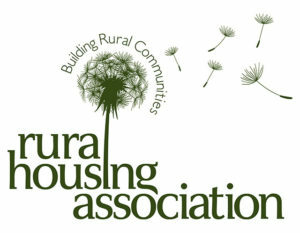 At Rural Housing Association our board and staff are matching that commitment, working closely with our colleagues in the Housing Executive and the Department for Communities, helping to fight the good fight. supported rural shops and post offices with extra business/income and rural builders with reasons not to drive their white van to Belfast or further afield for work. Now in 2017, Rural Housing Association aims to help fulfil that new rural strategy for the next 25 years. We have looked at Sean’s 1991 principles again in depth and developed new tactics for their delivery. A few years ago, we developed the Rural Design Guide for Social Housing in Northern Ireland. Our notion now is that all new schemes will reflect, respect and sustain local social and economic cultures and heritages of the landscape/environments that helped shape them, with Rural standing against the growing suburbanisation and despoiling of rural Northern Ireland brought on by the development of inappropriate house styles, layouts, surrounds and gardens, and entrances. These ideals are woven into our development aspirations both in social and affordable housing. Our design teams now have to explain to us how they will be able to provide more than just the standard house types. 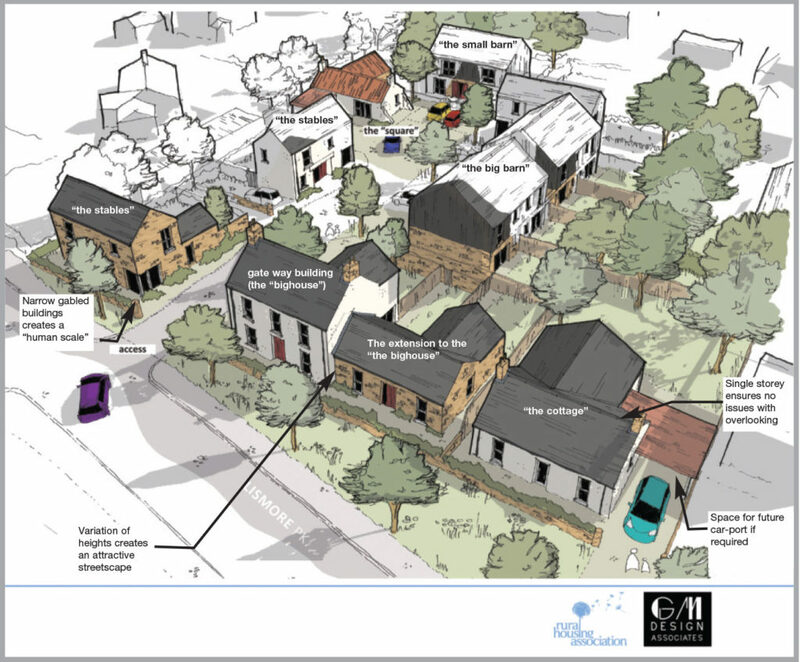 We now expect flexibility in the design of our developments to reflect the variety of our locations and to see that modern design and technology, local characteristics and even the sites historical use can all be merged to provide houses that “look and feel the part”.